The second volume of the Doctor’s biography takes us from 1939 and the beginnings of his ministry at Westminster Chapel to his death in 1981. The final sermon of his Westminster ministry was given on March 1, in 1968. It was his 372nd Friday night exposition from the Book of Romans, which he began October 7, 1955. Before that he had been doing a series on biblical doctrine. Systematic exposition of Scripture was almost unknown in England in this period but it became a feature of his ministry and was taken up by many, many others. His first sortie seems to have been a series on 2 Peter in 1946 and 1947 and on Philippians shortly after. One on 1 John, began in the Autumn of 1948. In 1950 he began a series on The Sermon on the Mount and in 1954 that on Ephesians. By no means all of his sermons were expositions of books. He would take sometimes just a chapter (eg Psalm 73, John 17). 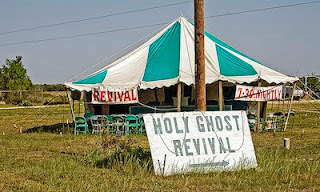 In 1959, he marked the anniversary of the 1859 Revival with a series on Revival. Other themes dealt with were Baptism with the Spirit (1964-65) and a series entitled Spiritual Depression on assurance, preached in 1954. The Doctor preached with three different emphases. On Friday nights the approach was more doctrinal, a Bible study. On Sunday mornings he endeavoured to help believers in their Christian living. On Sunday nights he was invariably evangelistic. In all the meetings the aim was to make everything simple with everything focussed on the 40 or 50 minute sermon exposition of Scripture. The trends in evangelicalism were all away from this ‘old fashioned’ approach but Dr Lloyd-Jones was used of God to bring people back to it. The early years at Westminster were war years and partly still alongside Campbell Morgan, who did not retire until 1943. Once that period was over Lloyd-Jones was able to blossom not just in his own pulpit but also in wider ministry. There was his continuing influence, especially in IVF (now UCCF), IFES and China Inland Mission (now OMF) circles; his close involvement and influence in the growing Evangelical Movement of Wales (he was a regular speaker at their Bala ministers’ conference) and various gatherings to mark significant events such as the 350th anniversary of the AV (1961) and the 300th anniversary of the Great Ejection (1962). Projects such as London Bible College and the Banner of Truth Trust (founded 1957) relied, at least initially, on his support. Declining to be first Principal of the college it was he who suggested the Strict Baptist Ernest Kevan and so secured a happy start for that institution. By 1958, however, college and preacher were heading in different directions. The magazine and publishing house began through Iain Murray, who became the Doctor’s assistant in 1956 and a wealthy member of the Chapel, Jack Cullum. Other projects relied even more so on his energy and vision. The roots of The Evangelical Library lie in the conversion in 1903 of another Strict Baptist, Geoffrey Williams. Through his pastor, J K Popham, he discovered the riches of our Puritan heritage and began an evangelical library 12 miles south of London in Beddington. It was when he was introduced to Lloyd-Jones that the library was finally removed to central London to become the ‘Living force’ that it was to be and continues to be to this day. Its influence on the rediscovery of Calvinistic doctrine in this century is very great indeed. Then there was the Westminster Fellowship for ministers. This seems to have started as early as 1941 on a very small scale and meeting quarterly but grew and grew, meeting for longer and more regularly. While the Doctor remained in the chair it was chiefly an opportunity to discuss issues rather than to hear addresses. The Puritan Conference which later became the Westminster Conference was commenced in 1950 under the leadership of the Doctor and Jim Packer. It was originally a part of the IVF’s Tyndale Fellowship and was another tool used by God to draw people back to the Calvinistic and Puritan teaching that had been neglected for so long. In 1977 he gave the inaugural address of the London Theological Seminary which was founded very much on the lines of his own ideas concerning training for the ministry. Inevitably, as Lloyd-Jones and his views became more and more widely known, not everyone was enthusiastic and his life was marked by many struggles not only with those who were not evangelical but also with many who, though evangelical, were not convinced of his view of the way forward. The two major points of departure for most were the inter-related matters of rejecting Billy Graham’s decisionistic evangelism and the Doctor’s call to evangelicals to leave the ecumenical movement and unite together. Both are dealt with extensively in Volume 2 of the biography. The first of these was a rather private. As far back as 1954 the Doctor had strong reservations about the Billy Graham Organisation. In 1963 he and Graham met. The latter was eager for the Doctor to chair the planned Congress on World Evangelism which eventually met in Berlin in 1966. Lloyd-Jones was far from unwilling to work with an Arminian but he was totally unconvinced by Graham’s evangelistic methods and strongly opposed to his ecumenism. 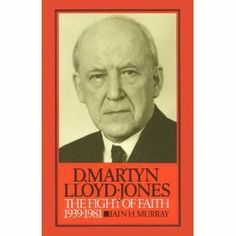 The increasing unwillingness of evangelicals to clearly differentiate themselves from liberals in the mixed denominations led, eventually to a very public call from Lloyd-Jones to leave the denominations at a famous Evangelical Alliance rally in 1966, chaired by an unconvinced John Stott. It is from this time that we see the increase in churches leaving the mixed denominations and the rise of FIEC and the British Evangelical Council. Things were never quite the same after that. Today, some hanker for those days of co-operation with Anglican evangelicals and others in the compromised denominations and various rapprochements have been attempted. However, the case for separatism is perhaps stronger than ever and many lessons painfully learned over many years by Lloyd-Jones need to be re-learned by succeeding generations. It is important to note that Lloyd-Jones break with a man like Jim Packer did not come in 1966 with Packer’s decision to remain in the Anglican church but in 1970 when he refused to oppose non-evangelicals within his denomination. The final years, from about 1975, were quiet ones. The Doctor preached his last sermon in June 1980 and after some weakness died in his sleep at home on March 1, 1981. Five days later he was buried in Newcastle Emlyn, West Wales. On April 6 there was a memorial service in Westminster Chapel. This summery article first appeared in an edition of Grace Magazine called Dr Who?